Just last week we heard that Linksys was ending all MediaCenter Extenders for the Microsoft MediaCenter platform. Today, Gizmodo is reporting that HP is ending the MediaSmart TV and ConnectHD Media lines. 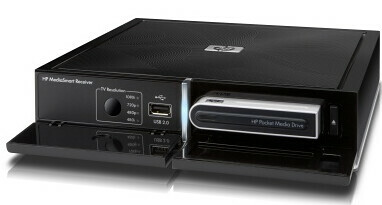 "there will not be any follow on MediaSmart TV or MediaSmart Connect products in 2009"
HP uses the words "with the PC at the center of the experience" which means to me that any MediaCenter focus from HP is on the PC-side of things and CE extenders are out from their perspective. So for you MediaCenter users, what will you purchase next time you need one? Do you think there will be other extenders coming out with Windows 7? Did I mention I really think extenders are the right way to go for a multi-room HTPC setup?